Image: Arthur Edwards/WPA Pool/Getty Images. We have all had those mortifying mom moments when our kid completely loses it in public and bystanders are less than charitable in their responses. Fortunately, most of these humiliating moments happen in front of Target cashiers and not, say, the Queen of England. Well, for one mother in England, it was in fact Queen Elizabeth II — only the longest-reigning British of all time — who witnessed her child’s freak-out. But her serious mom-calm and witty response kept the moment from eclipsing the event (or offending the queen). Check out the video, and remember the old saying, “There but for the grace of God go I.” In other words, thank your lucky stars this wasn’t your particular parenting mortification. The hilarious moment happened on Wednesday, as Nathan Grant, 9, waited nervously in line with his parents, David and Carrie Grant, to meet the queen. 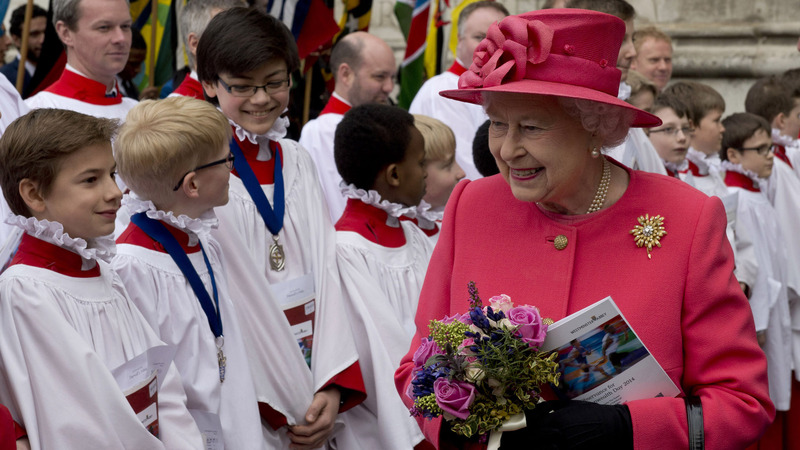 The queen was visiting the The Thomas Coram Foundation for Children in London. The charity is the U.K.’s oldest charitable organization for youth. The queen worked her way down the line, greeting folks at the event. As she spoke with Nathan’s parents, the boy visibly started to panic. “We are hosting today, and this is our adopted son,” Nathan’s mother said with maximum politeness. It was all too much for Nathan. Before the queen could reply to his mother, Nathan scooted from his mom’s arms and scurried out of the room on his hands and knees. Mama Grant kept her cool and quipped, “That’s his version of a bow,” earning a chuckle from the queen as she resumed her way down the line of well-wishers. Mom of the year. Seriously. That is perfection. We’re fairly certain there’s no royal protocol for this exact situation, but Nathan’s mom handled it with amazing panache. We’re curtsying from across the pond.